Known by clients and colleagues for his tenacity, perseverance, honesty and fairness, Tim has a stellar reputation for quick and timely responses to every client’s needs and concerns. His telephone and email are always at hand. The result of his consummate professionalism is reflected in his extensive portfolio of referrals from past and present clients. They know that Tim will consistently exceed their expectations and is a master at thinking outside the box in order to create a solution to any problem. His clients and colleagues also recognize that his in-depth familiarity with the local real estate scene means he constantly has his finger on the pulse of the market. 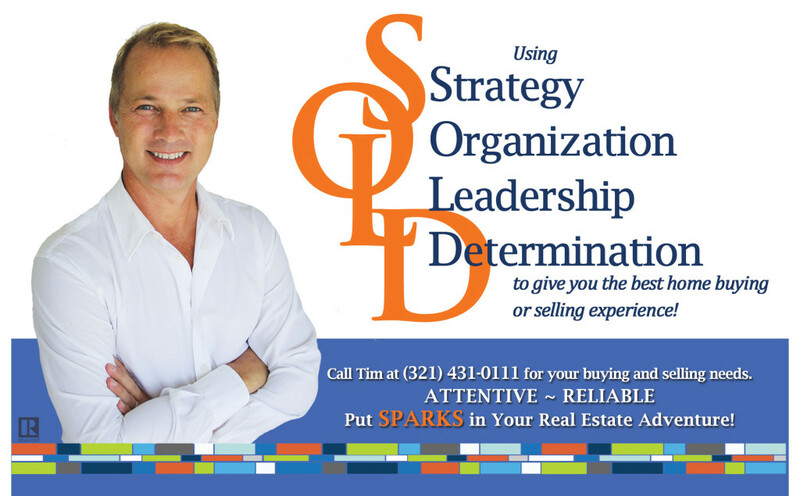 Put SPARKS In Your Real Estate Adventure! ATTENTIVE. RELIABLE. Contact Tim at timsparks.info@gmail.com or 321-431-0111.